Most solar modules used today are either polycrystalline or monocrystalline, otherwise known as mono and poly. So what is the difference between polycrystalline and monocrystalline? For the sake of brevity, the difference between the two is that monocrystalline is composed of a single crystal of silicon, while polycrystalline is composed of many crystals. These two kinds of crystalline silicon cells are both commonly used today in cells of photovoltaic modules. These cells are made from silicon, a semiconductor material derived from quartzite. Silicon is one of the most abundant natural resources on the planet. Monocrystalline, which is also called single crystalline, is the older of the two technologies and has been around since 1955. Monocrystalline is still used to manufacture photovoltaic cells today and is arguably the most efficient material available. Extensive filtration is required to purify the silicon so it can be used for monocrystalline solar cells. To create a monocrystalline cell, the Czochralski method is employed. A single monocrystalline silicon seed crystal is slowly pulled from the high-heat molten silicon. As it’s drawn upwards, the silicon cools and solidifies as a single ingot. This cylindrical ingot is then sliced into thin pieces that are then cut into the cell shapes you see on a monocrystalline solar panel. Though monocrystalline cells function well in low-light conditions, elevated heat can cause the conversion rate to decrease. In lab conditions, these kind of solar cells are more efficient than their polycrystalline cousins. Monocrystalline cells have a long life and are very durable. Monocrystalline technology is still more expensive than other solar technologies, including polycrystalline. Polycrystalline, which is also called multicrystalline, came about in 1981. 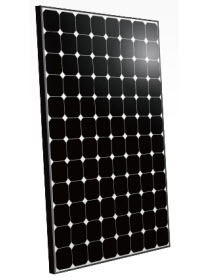 Polycrystalline cells, which are composed of multiple silicon crystals, is a cheaper way to manufacture solar modules. Put simply, these cells are easier for a factory to produce, so they are less expensive. Polycrystalline cells are made by several methods, but most commonly with a cast of molten silicon. When these cells are being created, they cool faster, creating smaller crystals. Polycrystalline cells are easily identified by their fragmented texture that somewhat resembles a granite countertop or shattered glass. Just remember that “poly” means “many,” so it has many crystals. Though monocrystalline is still more efficient at energy conversion in lab settings, polycrystalline is quickly catching up. 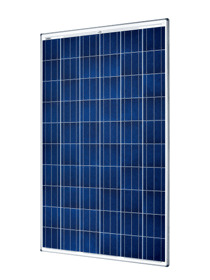 Because of this, polycrystalline panels are generally slightly bigger than monocrystalline panels. As technology progresses, the gap between mono and poly continues to shrink. Polycrystalline cells are known to function better than monocrystalline under high-heat circumstances. Though many would automatically assume that monocrystalline cells are better because they are made from single crystals of silicon, it doesn’t necessarily mean a better panel.